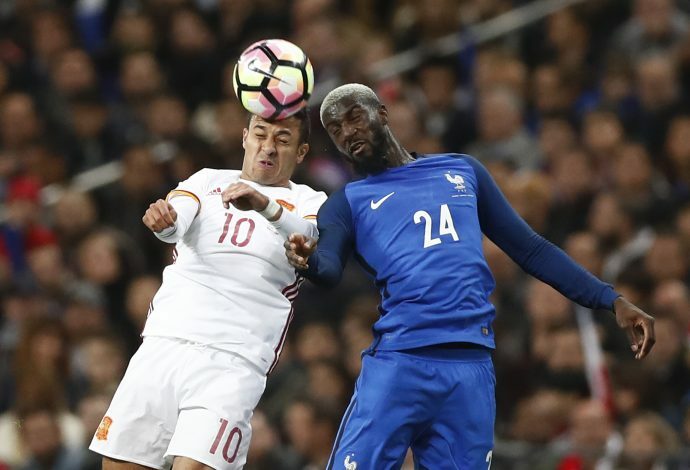 Manchester United have been given a renewed hope in their pursuit of AS Monaco midfielder Tiemoue Bakayoko, who is still up for grabs in the summer market. The Red Devils managed to step into the Champions League on the final day of their season, after they beat Ajax 2-0 in the Europa League final. This victory pushed them into the group stages of the Champions League, and will allow them to target some of the best players in Europe. Mourinho has been looking at some star players to add to his squad, and French midfielder Bakayoko was reportedly high up his transfer wish list. With Marouane Fellaini and Michael Carrick not expected to be first choice next season, Mourinho was looking at the 22-year-old as a possible partner for Paul Pogba in the middle of the park, but reports suggested that Antonio Conte’s Chelsea have gone ahead in the race for his signature. But now MEN Sport understands that Bakayoko has not agreed on anything with Chelsea, and though there are ongoing talks with both clubs, he is still in the market. This will come as a huge boost to Mourinho, who can now attempt to tempt him to Old Trafford. Bakayoko has been a regular in the first team at the Stade Louis II, but is interested in working under some of the best coaches in world football. Both Conte and Mourinho fit the bill, and it will be interesting to see which club Bakayoko chooses this summer. The youngster is a genuine star for the future, and Mourinho will now do everything he can to land him.